On this edition of No Holds Barred, host Eddie Goldman once again spoke with our colleague, correspondent, and award-winning boxing writer, Charles Farrell, who is also co-editor of The Boxing Standard. 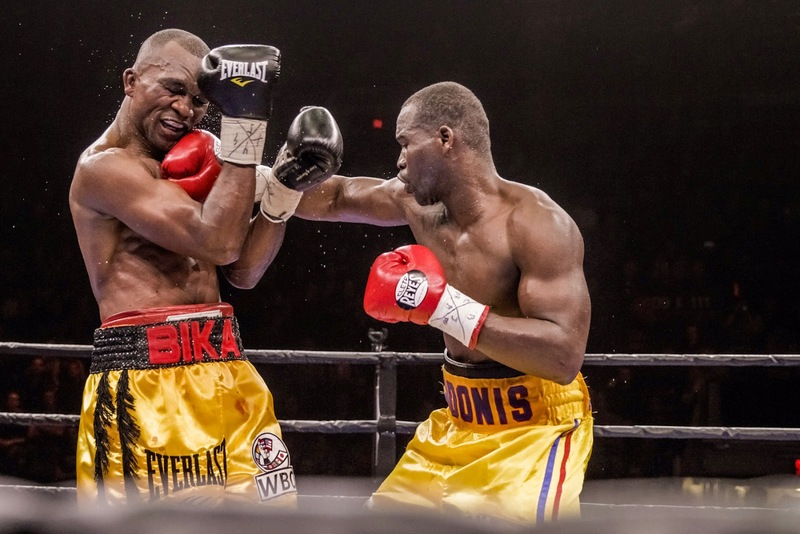 The Premier Boxing Champions (PBC) series made its debut on CBS in the U.S. on Saturday, April 4, headlined by a fight from Quebec City's Pepsi Coliseum featuring WBC light heavyweight champion Adonis Stevenson (26-1, 21 KOs) winning a 12-round unanimous decision over Sakio Bika (32-7-3, 21 KOs). This followed PBC cards on March 7 on NBC and March 13 on Spike TV, with many more scheduled in the coming weeks and months. To discuss these, as well as the May 2 mega-fight between Floyd Mayweather and Manny Pacquiao in Las Vegas and other upcoming bouts, we spoke with Charles Farrell by phone Sunday. Regarding the progress of the PBC in its first month of televised cards, he said, "I certainly think that putting them on NBC, CBS, even Spike, opens up the door for a lot of potentially interesting things." While there has been "some but not great success" in the quality and presentation of these cards, there are still numerous problems. "The one thing that you can't do is you can't necessarily guarantee that you're going to get great fights. And yesterday they had a problem," referring to the Stevenson-Bika fight. Part of it was "not very good matchmaking" pitting Stevenson against Bika, who has never been knocked out and is known as an awkward and sometimes dirty fighter. "Adonis Stevenson underperformed in a way that they didn't expect and probably was hard to predict, and he didn't do what he needed to do," he said. Commentary, much of it ill-informed, is already filling up the sports media about the Mayweather-Pacquiao fight. But already there has been some open speculation about one possible scenario in this fight: that the fight goes all 12 rounds, that the unbeaten Mayweather (47-0) deserves to win a clear-cut decision, and that he is robbed of it, thus ensuring an incredibly lucrative rematch. With high stakes betting taking place on this fight and all the money involved, "The logic is to rob Mayweather," he said. We discussed this scenario as well as several others for this bout. In addition, we discussed many upcoming fights including this coming Saturday's Garcia-Peterson and Quillin-Lee fights on NBC; why Stevenson must next fight the undefeated Sergey Kovalev; the corporate feel of the PBC cards; problems with the announcers on them; and much more.